Lace up those running shoes! 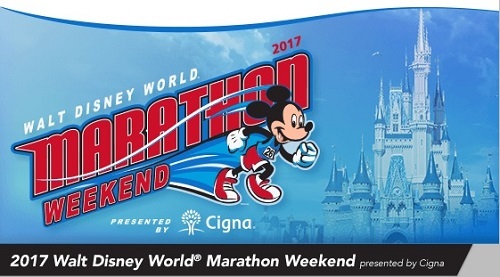 Registration for the 2017 Walt Disney World Marathon Weekend opens April 26 at 12 p.m. ET. 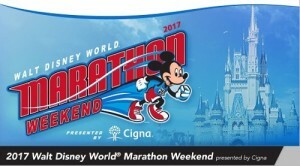 The 2017 marathon weekend events include the Walt Disney World Marathon, the Walt Disney World Half Marathon, the Walt Disney World 10K, the Walt Disney World 5K, Goofy’s Race and a Half Challenge, the Dopey Challenge, and runDisney Kids’ Races. Dopey Challenge participants will run the full and half marathon plus the 10K and the 5K, while Goofy’s Race and Half Challenge runners will complete the half marathon and the 10K. Registration prices for the 2017 Walt Disney World Marathon events are as follows: full marathon $180; half marathon $180; 10K $110; 5K $65; Dopey Challenge $560; Goofy’s Race and a Half Challenge $365; and Kids’ Races $20-$30. For more information on the Walt Disney World Marathon Weekend and to register beginning April 26, visit runDisney.com.